I watched Iron Man with a friend last night. I must say that this was probably the most well done comic book movie to date. In the movie Tony Stark is the boy genius who makes weapons. Basically his legacy is for making machines of destruction. Basically he is held captive in this cave with another guy named Gin Sen by terrorist who want him to rebuild a massive weapon so they can blow stuff up. Everyone knows who this guy, Tony Stark is, even Gin Sen, who says that his legacy is a man who creates weapons of war and destruction. 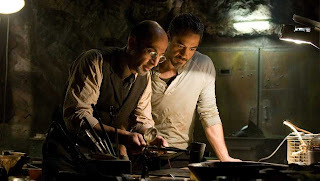 As Gin Sen is dying he tells Tony one thing, “Don’t waste your life, leave a legacy.” This whole time Mr Stark thinks that he is creating weapons for good, but comes face to face with the reality that his legacy will be a mass producer and the mind behind so many weapons that cost thousands of innocent lives unless something were to change. I won’t tell you the rest of the movie, go see it, it’s worth the cash. It’s a good thing to think about. What will people remember you for? What will be your legacy or legend?